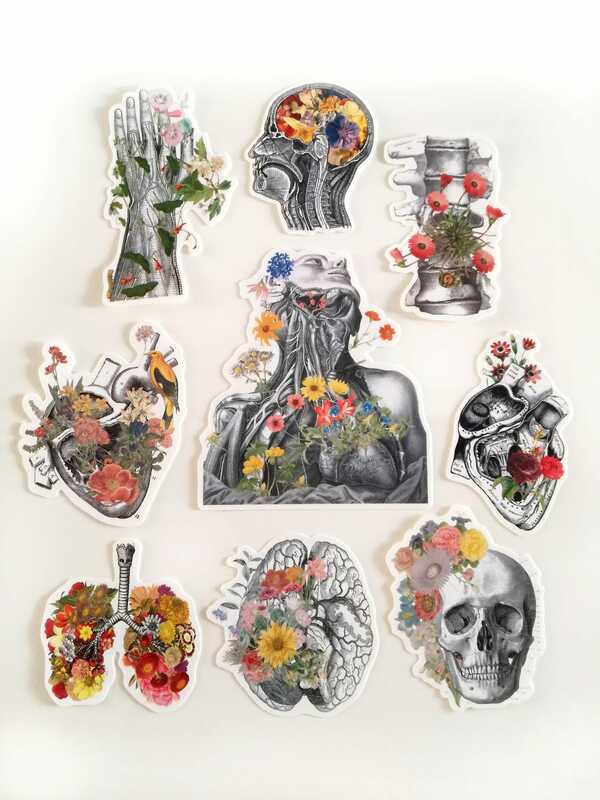 This listing is for a set of nine stickers of the Human anatomy with flowers collection. 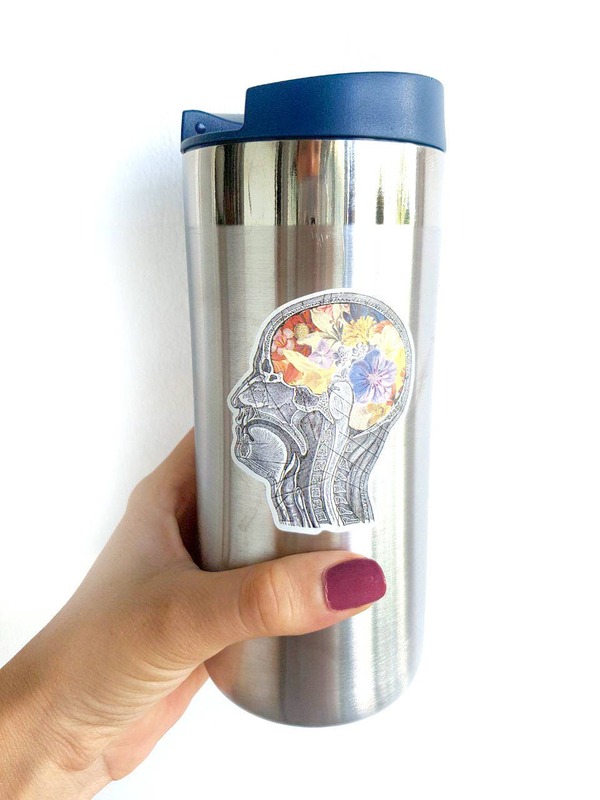 We offer our new set of three stickers, based in our top seller Human Anatomy designs. 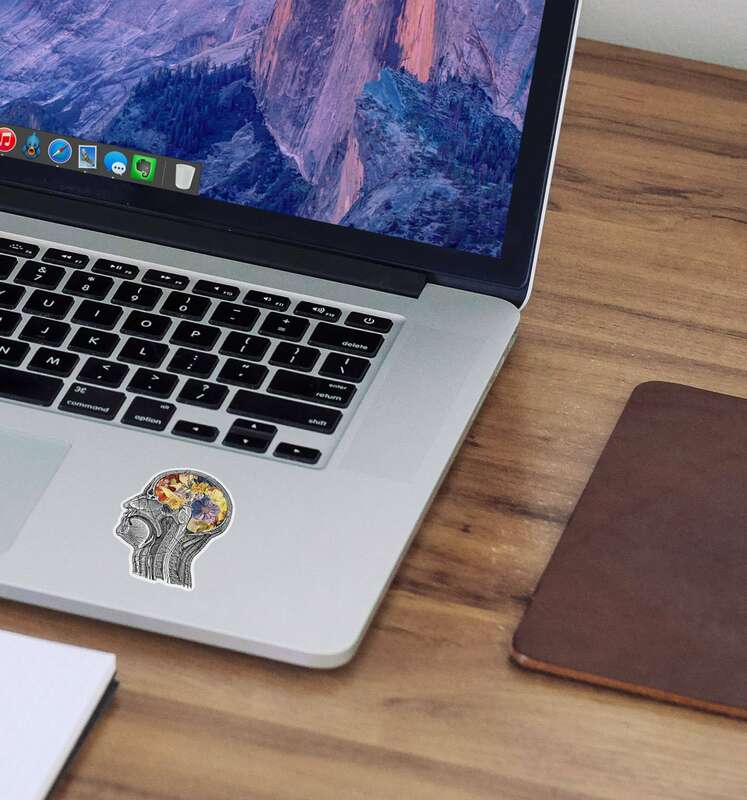 Due to the great succes, we can offer them at LOWER PRICE! Enjoy! 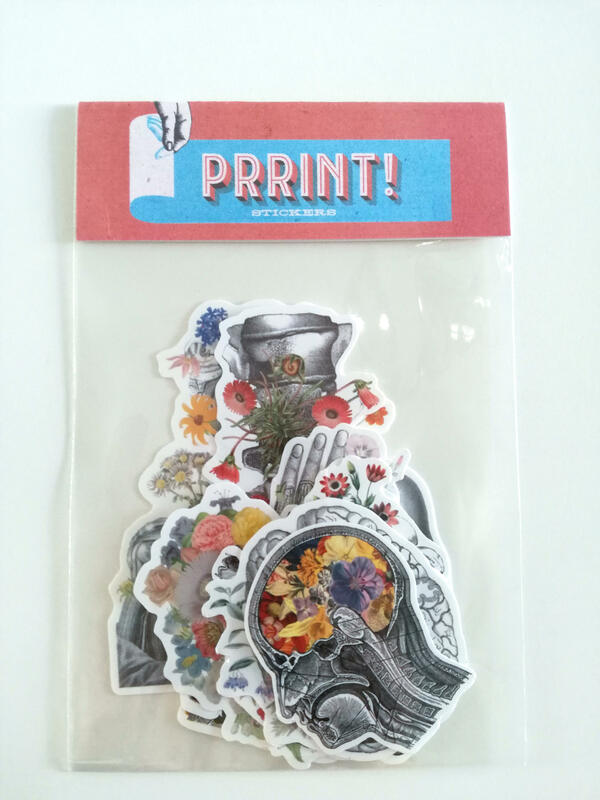 How about 3 stickers set ? such beautiful art work ! I love my order! 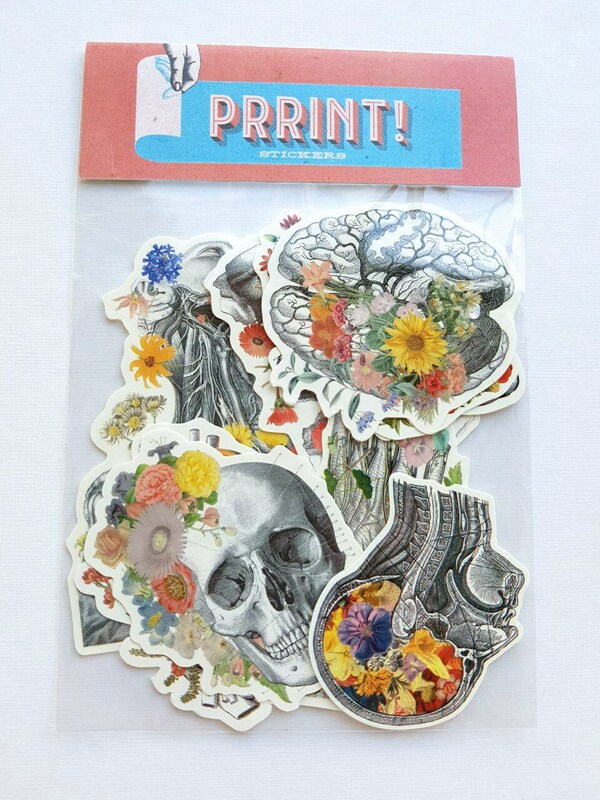 Great quality stickers and beautiful designs. Even came with one free sticker and a coupon for next time! 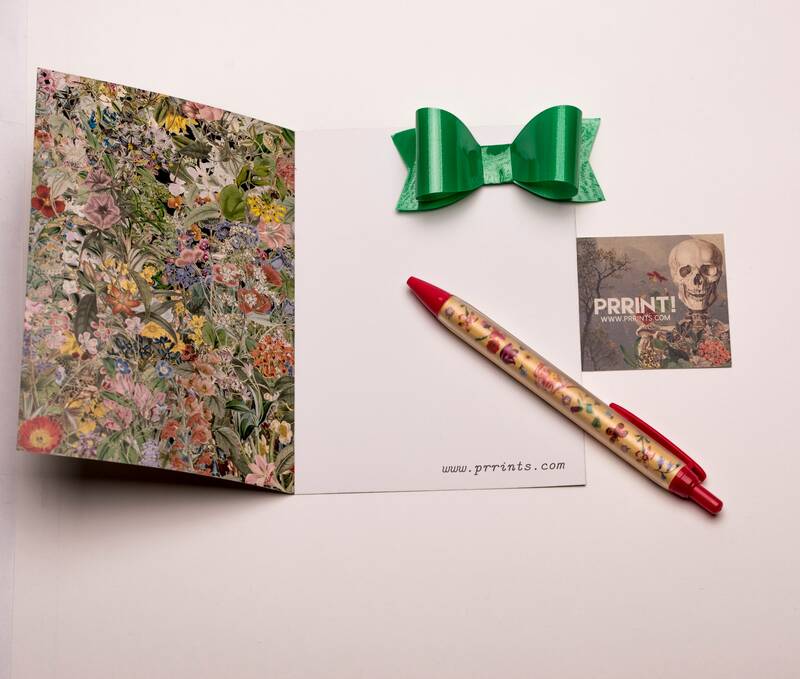 Beautiful and unique artwork - appreciate your communication and timely delivery. Excited to use these as gifts!